The long awaited Samsung Galaxy S9+ is finally here, and we took it out for a spin to get a look at all its nooks and crannies for the latest features, design quirks as well as its photo taking ability. Right out of the box, we can see that the S9+ is no small device, and it looks amazingly sleek with its 6.9-inch 2960×1440 SAMOLED curved edge display. The Galaxy S9+ not only houses a larger screen real estate, but it also comes with a 6GB RAM configuration which is a 2GB upgrade from its predecessors. Memory-wise, it can hold 64GB worth of storage while supporting a microSD storage of up to 128GB. One of the newer additions to the Galaxy S9+ is the inclusion of a telephoto lens on the rear cameras. The rear of the S9+ brings various new enhancements both to the sensor array and the optics. The new sensor includes a new tri-stack design including the CMOS array, the integrated ISP, as well as now a dedicated DRAM die, all integrated with each other on the same silicon package thanks to the use of through-silicon vias (TSVs). This new design allows – among other things – 960fps video capture, as well as fast sequential image capture. The sensor is still a 12MP piece and employs 1.4µm pixels for low-light sensitivity. The optics of the new module includes a dual-aperture system that is able to switch between the native F/1.5 aperture of the lens assembly and a reduced aperture of F/2.4 for brighter situations. The new lens system promises the benefits of great low-light photography with interchangeable flexibility regardless of the lighting situation. 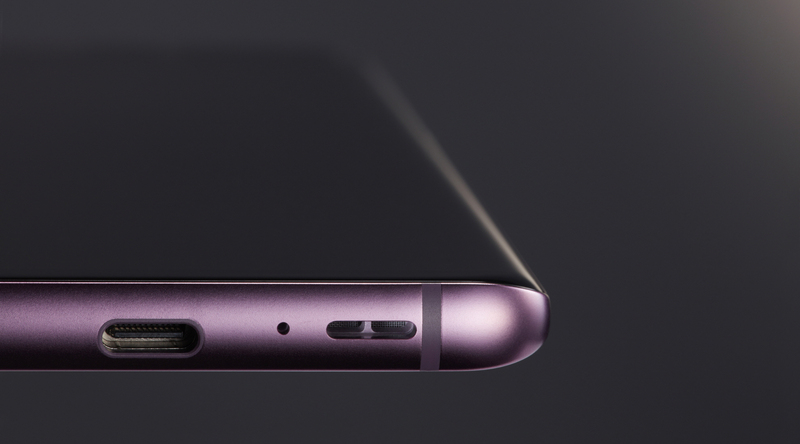 Located below the cameras are the fingerprint sensors whereby it is now smaller compared to its predecessor in terms of width. This might be inconvenient to some, but it is a minor drawback. The speakers as well have their design changed from its previous iteration, from a grill design to a more slant-based continuous open slot for better protection against dust and water intrusions. All in all, the design of the Samsung S9+ is an ongoing evolution of experimentation after the Galaxy S8 and it has resulted in one of the more stylish smartphones for 2018. If there is one thing we look out for it would be the slew of new features on the latest Samsung smartphone, and the Galaxy S9+ does not come shorthanded in terms of on-hand features. First up is the Intelligent Scanning system, which lets you use retina scan and facial recognition to unlock the phone, ala spy movie style. The setup is quick and painless and I often find that unlocking the phone through this method is actually faster than the fingerprint scanner or by swiping a pattern. However, there are times when the sensor can get confused with the angle and bad lighting, thus this feature is best used in a lighted area. Moving on to the cameras, Samsung has invested a lot of time and effort into perfecting its camera technology, and it clearly shows here. Earlier in this article, we talk about how the dual aperture modes help you take the best picture in any lighting situation but did you know the device also comes with a wide variety of modes for various photo-taking skills. Amateurs can mess around in the Auto mode, while more handy mobile photographers can make use of the precise Pro mode which allows you to change any setting you want for the shot. Additionally, you can also record videos in slow motion, which is a new feature in this device. This is done through its ability to display slow motion videos at 240fps by recording the video at a stunning 960fps. The results are some of the most awe-defining moments captured in epic slow motion. Take note however that this mode would require you to be in an adequately lit environment to maximise its full potential. There is also a new AR emoji feature which lets you add some flair to your messages by capturing your image as an emoji, to which you can then send to your friends. While the novelty of this feature is there, it gets a bit boring later down the road. As usual, with the internals upgraded, the Samsung Galaxy S9+ performs at a higher rate compared to its predecessor. It has a Snapdragon 845 processor with 6GB RAM. With these hardware upgrades, the S9+ has an improved CPU and GPU able to do things like record super slow motion videos and much more. The power of the new Samsung Galaxy S9+ can be seen in some of the newer apps that have been released recently, such as Players UnknownBattlegrpunds, which has a rather high demand for the mobile GPU, but with the S9+, the game can be played on the highest setting with no frame delay or lag. In terms of app performance, the apps open smoothly and general mobile operations are smooth and easy. The Bixby AI, however, is still rather clunky as the Bixby Vision seems to only work in areas with abundant of light, while the AI does suffer from some lag issues. In other areas, the audio has also been remarkably improved as the Samsung Galaxy S9+ retains the 3.5mm headphone jack, making it one of the very first few smartphones in 2018 to continue the trend. Besides the usual speaker found at the bottom of the phone, you can also find another front-facing unit that’s positioned on the display. This makes sure that even with your palm covering the phone, the sounds won’t be muffled and the audio can remain pushed out. 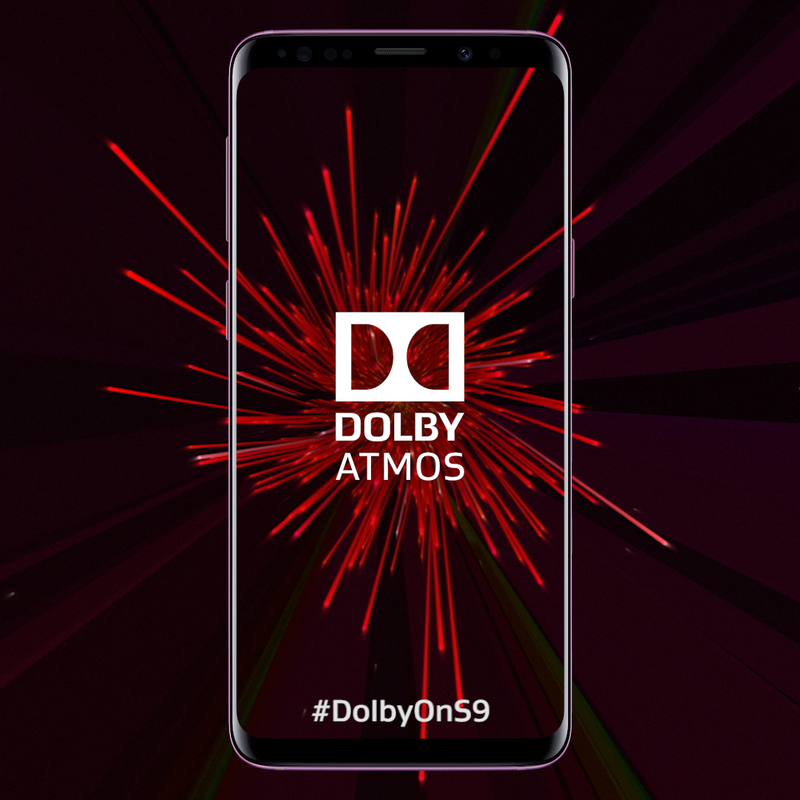 The audio also features Dolby Atmos technology which gives users a sense of 360-degree audio if you have a sound system setup that has dedicated speakers above you. The Samsung Galaxy S9+ is definitely one of the hottest products out on the market now, and you will definitely want to get your hands on this device if you are looking to upgrade from the Samsung Galaxy S8 or if you are looking for a top end device for 2018.